There are some places in Canada you just have to visit and Québec City is one of them! As much a symbol of Canada as the Rockies, it blends the past and present in a compelling ode to the shared English and French heritage. The jewel in Québec City’s crown is Old Québec, a UNESCO World Heritage treasure. Home to historic landmarks, strollable streets, galleries and boutiques, and so much more, graceful Old Québec will enchant you with its timeless appeal. Uncover the secrets of some 400 hundred years of history in Canada’s birthplace. Sample the restaurants and shops of Petit-Champlain, Canada’s oldest commercial district. Explore the city’s artistic and cultural heritage. Here you can immerse yourself in the past as you experience an unforgettable present. With such a vibrant culture, there’s always something happening in Québec City. All summer long, a bevy of concerts, shows, and festivals sweeps the city up in a festive spirit of revelry. Be sure to catch the renowned Québec City Summer Festival and it’s colourful performers and live musical acts. There’s also the SAQ New France Festival , which recreates the early days of New France in the heart of Old Québec. Set in a natural environment of rare beauty, Québec City also offers a host of outdoor activities. Lakes, rivers, and mountains unfold in such a dazzling succession of vistas, you won’t believe you’re so close to town! Experience the excitement and adventure of the great outdoors with rafting, canoeing, climbing, camping, hiking, biking, and swimming and other activities that will have you coming back for more. 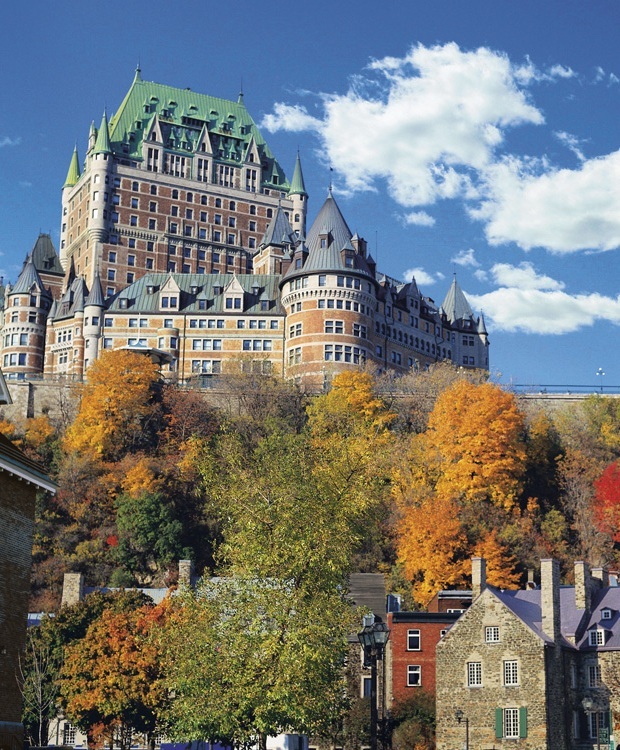 Discover Québec City with World Discovery. The Kanana Heronry lies in the central region of the Okavango Delta, within the wider floodplains which form the headwaters of the Xudum River and forms part of Ker & Downey Botswana’s private Kanana concession making it a great Botswana birding safari. The area is typical of this region of the Okavango and comprises open shallow floodplains covered with a mosaic of lily pads, cyperus grasses and assorted floating sedges with small crystal clear channels and pools of open water. Scattered randomly throughout the area are dense ‘islands’ of varying sizes, covered in gomoti figs (Ficus verruculosa) mixed with waterberry trees (Syzygium guineense) and edged by papyrus reeds (Cyperus papyrus). These ‘islands’ are used extensively for both breeding and roosting of several species of birds, with breeding activity starting in mid-July with the arrival of Pink-backed Pelicans, closely followed by the Cormorants, Darters and White Egrets. Thereafter the Marabou storks arrive, followed by Yellow-billed Storks, Sacred Ibis and Grey Herons. In addition to these species, there have been documented sightings of Rufous-bellied Herons with fledged chicks and small numbers of Black-crowned Night Herons using the breeding site, though it not been confirmed they are actually breeding within the heronry. The researchers estimated at the time of the survey, well in excess of 5,000 birds of ten species were using the heronry for breeding or roosting purposes. 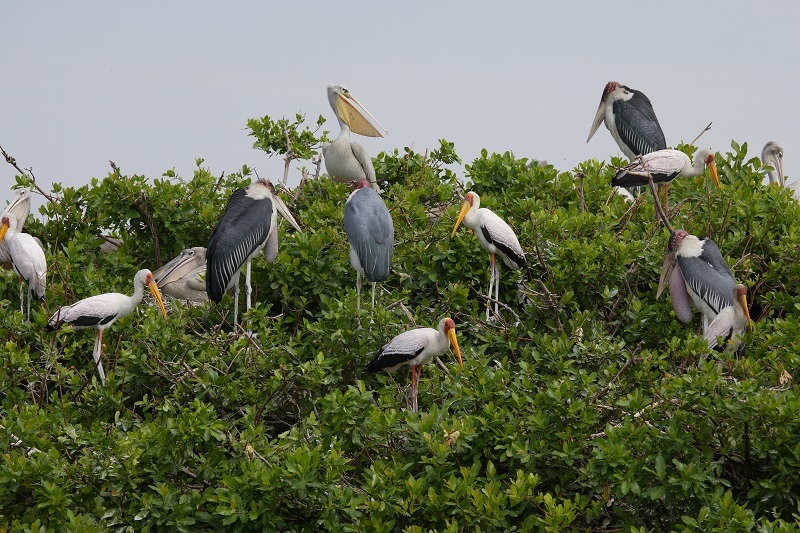 Of special significance is the breeding presence of the Pink-backed Pelicans and Marabou storks. Listed below is breakdown of the species identified by researchers at the Kanana Heronry, in their order of conservation importance. 1. Pink-backed Pelicans – Classified as vulnerable in Southern Africa and breeding has been recorded in only a handful of places in Southern Africa. 2. Marabou Storks – Classified as near threatened in Southern Africa. 298 active nest sites were identified. This species has a small breeding population in Southern Africa and this site is probably one of the largest one in the region. 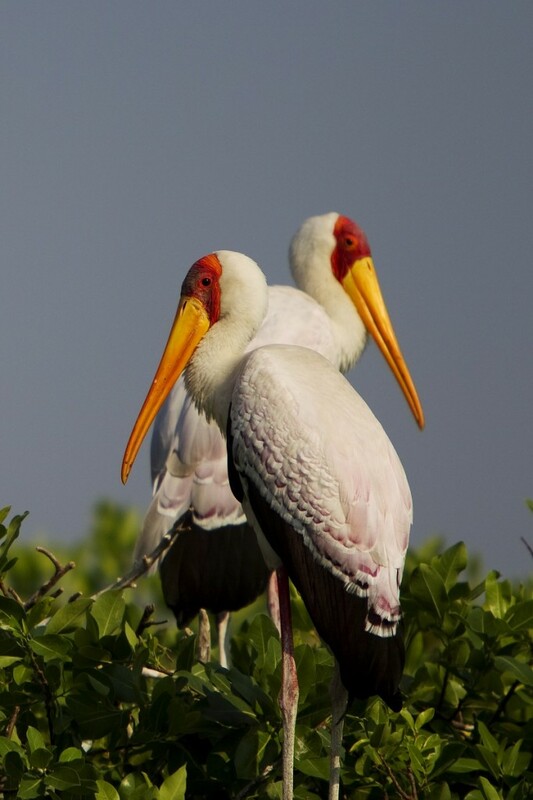 Yellow-billed Storks – This species was nesting in several sites throughout the heronry. Darters – A handful of birds were seen sitting in the dense areas of the two main “Islands”. No sign of any actual breeding could be seen and from what we were advised by the guides we believe that the Darter breeding had been completed for this season. Reed Cormorant – No sign of breeding was noted but each evening, huge numbers of these birds flew into roost. As well as the species noted above, the area is also home to other ‘Okavango specials’ species including Pel’s Fishing Owl, Slaty Egret, Lesser Jacana, Greater Swamp Warbler, Chirping Cisticola, Luapula Cisticola, Swamp Boubou, and Hartlaub’s Babbler to name but a few. You can stay at Ker & Downey’s excellent Kanana Camp on World Discovery’s 7 day Okavango Delta itinerary. An experienced not to be missed! Grasslands Bushman Lodge in Botswana, which we feature on our 7 day Kalahari and Delta Safari, was awarded the Country winner for the Luxury Safari Retreat category at the World Luxury Hotel awards in Cape Town last week. Grasslands Bushman Lodge is situated to the west of the Central Kalahari Game Reserve, on a private wildlife reserve of some 15,000 hectares. The Central Kalahari has been the home of the De Graaf family for seven generations – since Cecil John Rhodes, eager to create a buffer between his interests in central Africa and German settlers encroaching from the west, granted vast swathes of the Kalahari to Boer ranchers. The lodge is a family concern, and the rest of the staff is made up entirely of San (Bushmen), from a clan that has lived and worked alongside the family for many generations. The lodge accommodates up to 16 guests and includes two family units with ensuite facilities. The lodge is well appointed, with a swimming pool for the hot desert days, and overlooks a waterhole which attracts a large variety of wildlife. 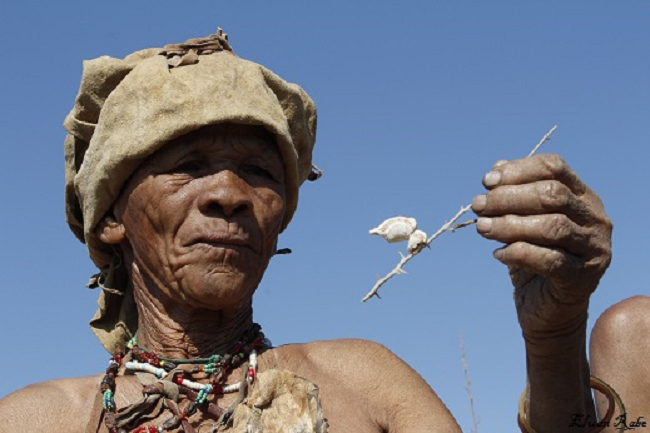 An authentic, comprehensive San (Bushmen) experience. 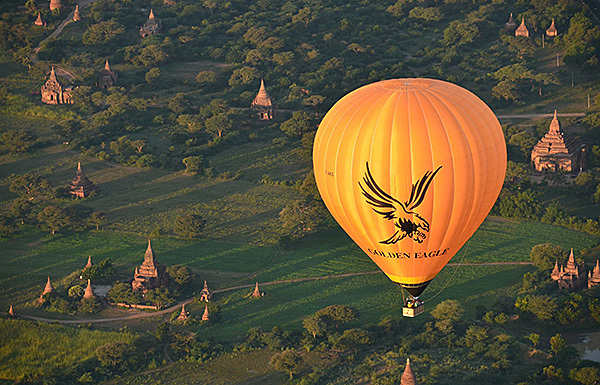 Distinct from most lodge-based San activities, the San experience at Grasslands takes place not with a couple of ‘hunters’, imparting their knowledge, but with the entire clan on a genuine foraging expedition. One becomes immediately sensitised to the important role every member of the clan plays, and how the tasks are undertaken, and the opportunities exploited, by the different age and gender groups within the clan. Fascinating to western eyes, and instructive to witness a culture in which people become responsible and make real contributions from a very early age. Day and night drives. The desert fauna and flora is very different to that of the Okavango and Chobe, and driving across the vast plains of the Kalahari by both day and night reveals the richness of this extraordinary environment, in which water is plentiful, but always beneath the earth’s surface. The unique predator rehabilitation centre. The surrounding farm ranches experience constant conflict with the Kalahari’s many predators. The De Graafs offer an alternative to the traditional response of shooting predators on sight – they will capture them and bring them into their 10-acre enclosures behind the lodge. Consequently they offer guests the unique opportunity to walk with Cape Hunting Dogs, and experience first-hand these fascinating creatures’ expression of curiosity, and of superb viewing of the legendarily large Kalahari lion in their natural environment.